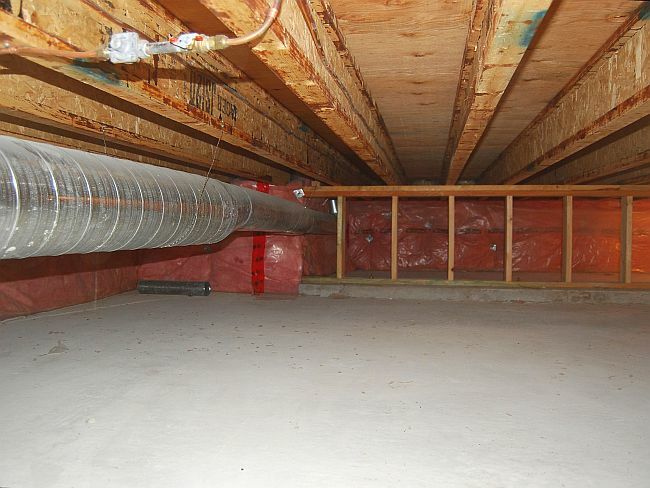 Crawlspace Inspections by Kelowna Home Inspectors at Building Pro Inspections. Licensed & insured to deliver quality inspections and professional reports. Not all crawl spaces are as pleasant as this one. They are often tight, dirty, unpleasant areas that home owners seldom venture into. Because of the unfriendly nature of these spaces, the mechanical systems are through crawl spaces are often neglected. 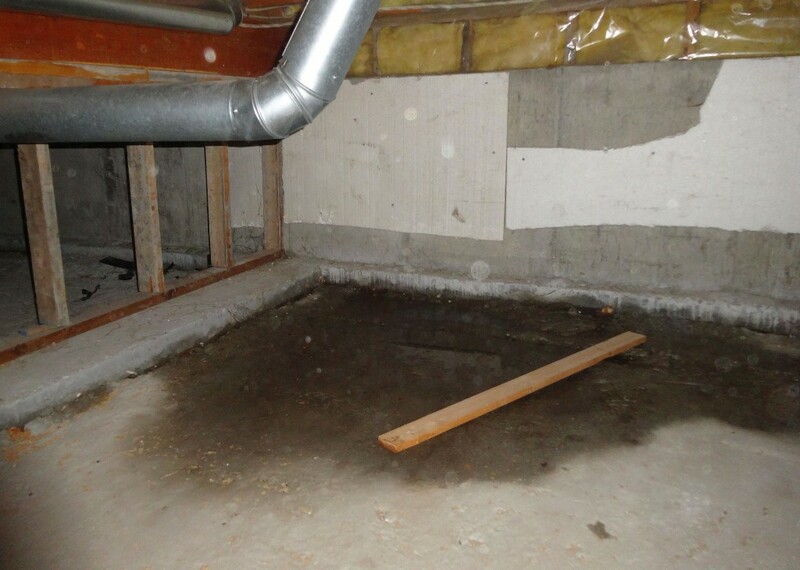 In this gallery we will explore crawlspaces and problems found there. What appears to be a rare flooding event was found in this crawl space following a period of heavy rainfall. Poor gutter discharge points, the ground sloping towards the foundation, and holes in the crawlspace floor may be the main reason for this flooding. This did not look like a common event and it is not possible to predict if it will happen again. Improvements to the exterior ground slope, surface drainage along the foundation, gutter discharge points, and keeping the gutters clean will be needed. The crawlspace will have to be monitored and more extensive modifications will be required if there is future flooding.